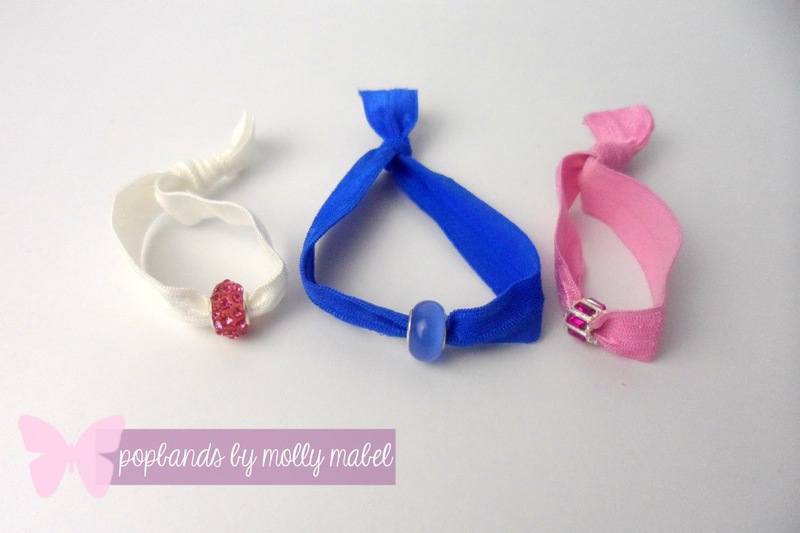 How pretty are these *popbands by molly mable? They're the cutest little hair ties which solve the problem of traditional bands leaving a dent in your hair and on your wrist. Such a simple idea, it leaves me wondering why I didn't think of this. I was sent three of the more special popbands to play with - as you can see they all have a pretty jewel bead attached to them, but you can also buy them without. I've been wearing the blue one to sleep every night and it's perfect for getting all of my hair up into a nice messy pineapple and keeping it there all night without feeling tight on my head. Being an every day hair washer, I don't maximise the benefit of dent-free hair the next morning, but I do when I wear these just putting my hair up for a bit during the day to get it out of the way. 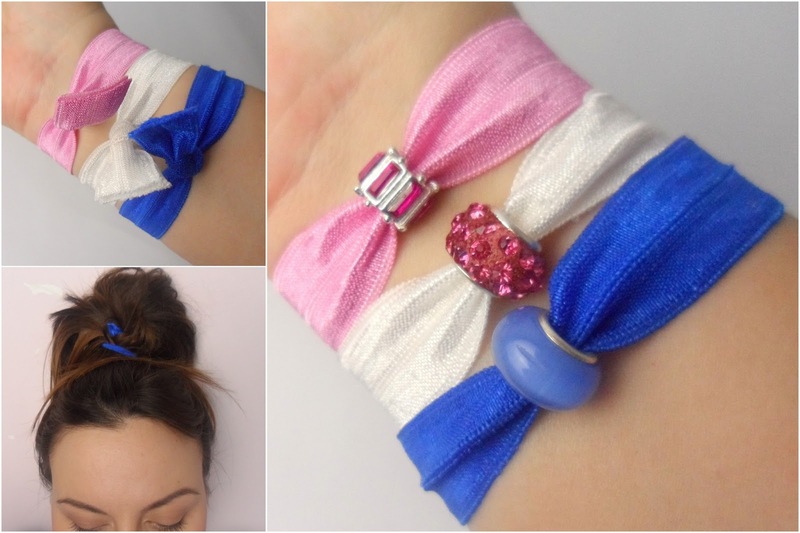 I think popbands are really cute and these embellished ones would probably be even more popular with younger girls - wouldn't these be a fab addition to a kids' party bag? The sparkly bead popbands I have cost £5 each, or you can get these patterned or glitter popbands in a pack of two for £6. If you want something a bit more subtle for wearing out and about you can also get plainer popbands in packs of 5 for £6. 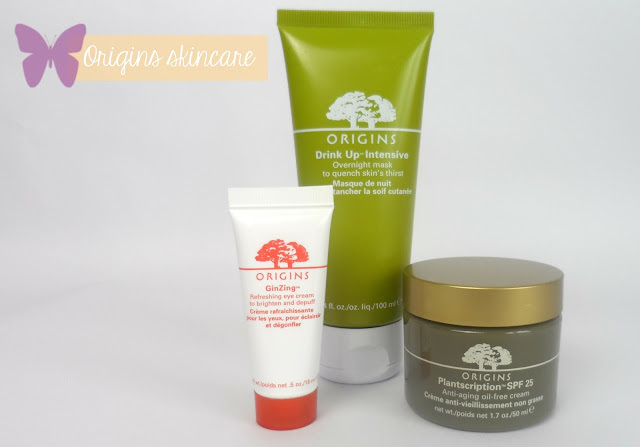 Since I started using Origins skincare last year I've found a firm favourite amongst their range of masks. The drink up intensive overnight mask is a product I don't stop raving about. I've even got my boss at work hooked on it! When you think of a traditional face mask you'd imagine quite a thick texture, a cream or maybe a mud style product and something that sits on top of the skin until you're ready to wipe it off. This is nothing like that. It's more like a thick gel consistency and when I apply it my skin starts to soak it all in. It has a lovely fresh fruity smell too, which is just as well as I couldn't go to bed with a product all over my face if it smelt bad. I apply extra around the edges of my nose as this is where I can get some really dry, cracked skin and this just works wonders. If I skip it for a few nights that area starts to become dry again, so I know for sure the mask is helping. I'm using it about every other night at the moment. When the weather warns up I might not need to use it so frequently, as I think these dry patches have been caused by the really cold weather but I'm not certain. If you have issues with dry skin I really recommend this - I have combination skin and although the mask is great for dry areas it doesn't aggravate my oily patches, so it's a winner. GinZing eye cream is a product I'd been meaning to try for a while as I'd seen it mentioned on lots of other blogs before. I never get super excited about eye creams as I find it quite difficult to tell if they're working or not. With this one there's an instant illuminating and de-puffing effect, so that keeps my interest and inspires me to keep using it and have faith that it's keeping those mean little lines away. 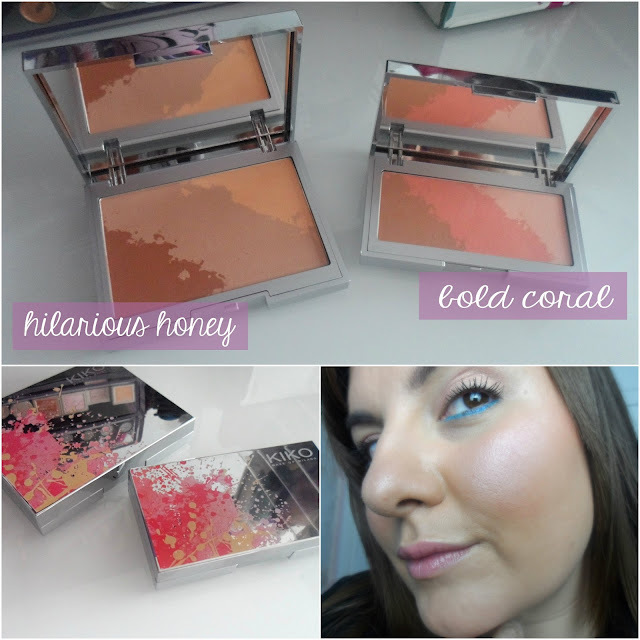 GinZing really brightens the dark areas around my eyes and by the time I've added makeup on top I can really see the difference and a bit of added radiance. 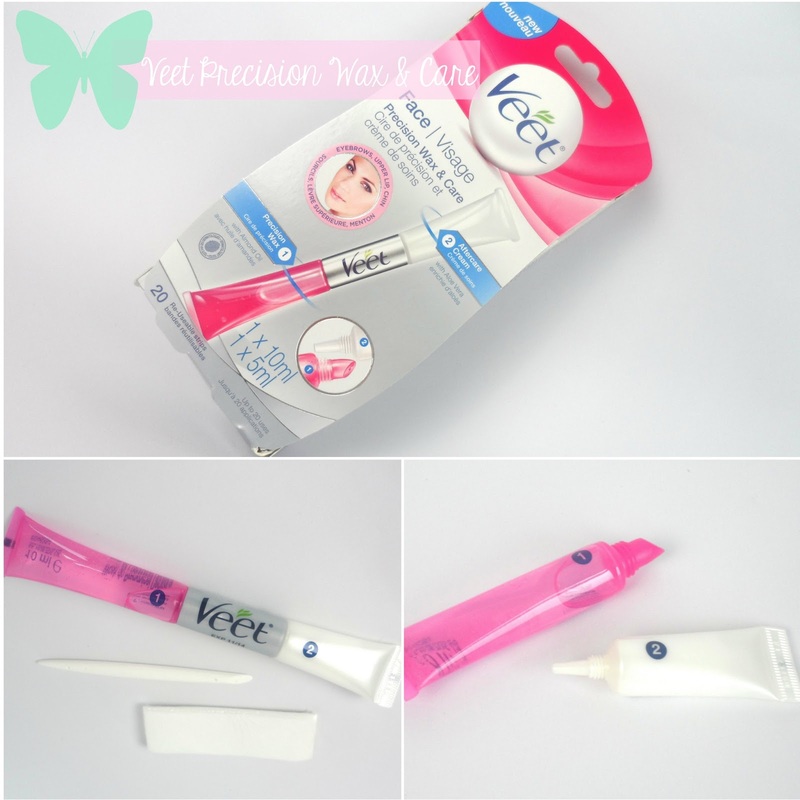 It's not too heavy and sinks in quickly, so it doesn't disturb any makeup I layer on top. *Plantscription is Origins' latest release and it's the second moisturiser I've tried from them. Plantscription has been developed with raspberry plant stem cell technology - I'm impressed even if I don't really understand it. What I can tell you is that the Plantscription moisturiser has a super creamy and almost whipped consistency. It's the total opposite to make a difference which is like a hydrating gel moisturiser. Plantscription makes my skin feel really nourished as well as moisturised and my skin feels plumped. I like that this is an anti-ageing moisturiser which is also oil free. A lot of skincare I try that's targeted at preventing wrinkles can sometimes be a bit heavy for the oilier areas on my face so I sometimes have to relegate them to night-time use only, but not with this one. If you have a drier skin, this cream also comes in a normal version as well as the oil free one I've tried. It also contains SPF 25 so I'll be all set once the springtime sunshine finally appears. Have you tried Origins? What's your favourite product? Being a bit of a product addict and usually being overrun with things I need to use up, I tend to keep different products in the shower from the ones I have next to the bath. I even keep a different cleanser and face scrub in my shower! 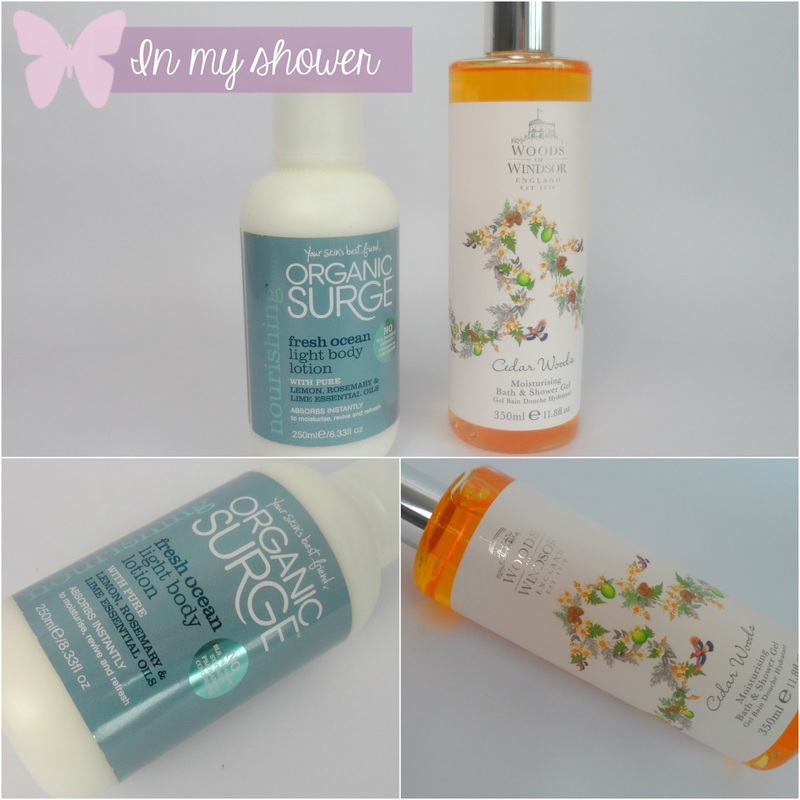 The latest things to join the crew of products in my shower are this shower gel from Woods of Windsor and and body lotion from Organic Surge. I can be a bit lazy with applying body moisturisers but I really like the benefits so to help remind me to use them I like to keep one nearby to apply when I get out of the shower. The *fresh ocean light body lotion from Organic surge is light as the name suggests, so it's perfect for applying while my skin is still damp as it sinks in easily and quickly. It's got a nice refreshing fragrance with lemon, rosemary and lime essential oils. A moisturiser in a bottle is also much easier for me to use when I get out of the shower rather than a tub lotion too. The *Woods of Windsor shower gel in the scent Cedar Woods is a really pretty and traditional looking product. It's a really nice shower gel that lathers up well and can also be used in the bath. The scent is really pleasant even though it's not my usual style. I would normally choose quite zingy shower gels that'll wake me up in the morning! There's another one in their range which is bergamont and neroli scented and I really like the smell of that one as I always gravitate towards anything with neroli because it's one of my favourite fragrances. 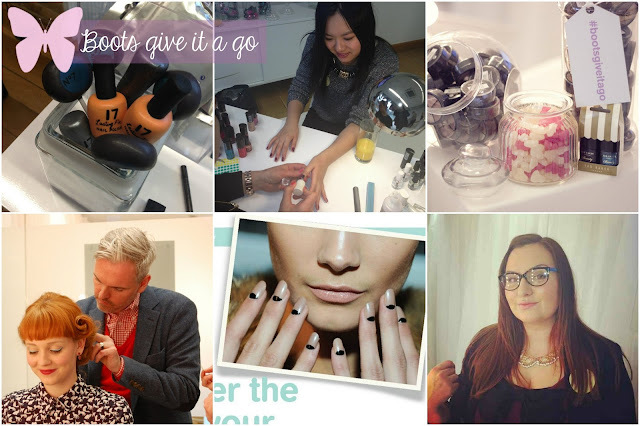 On Friday I was lucky enough to spend a lovely afternoon with Boots checking out some new beauty trends for Spring at their 'give it a go' event. The idea of the event was all about trying something you might not normally do, like rocking a red lip, a bright blue eyeliner or a new hair or nail look. My friend Fei got her nails done and Jayne got an amazing victory rolls hairdo from Mark Coats using Bumble and Bumble products. My favourite thing to give a go myself was the Orla Kiely glasses I'm wearing - I need some new glasses for using my PC at work and I think these are the perfect mix of geek and chic. I'm also planning to try out that fabulous half moon manicure. 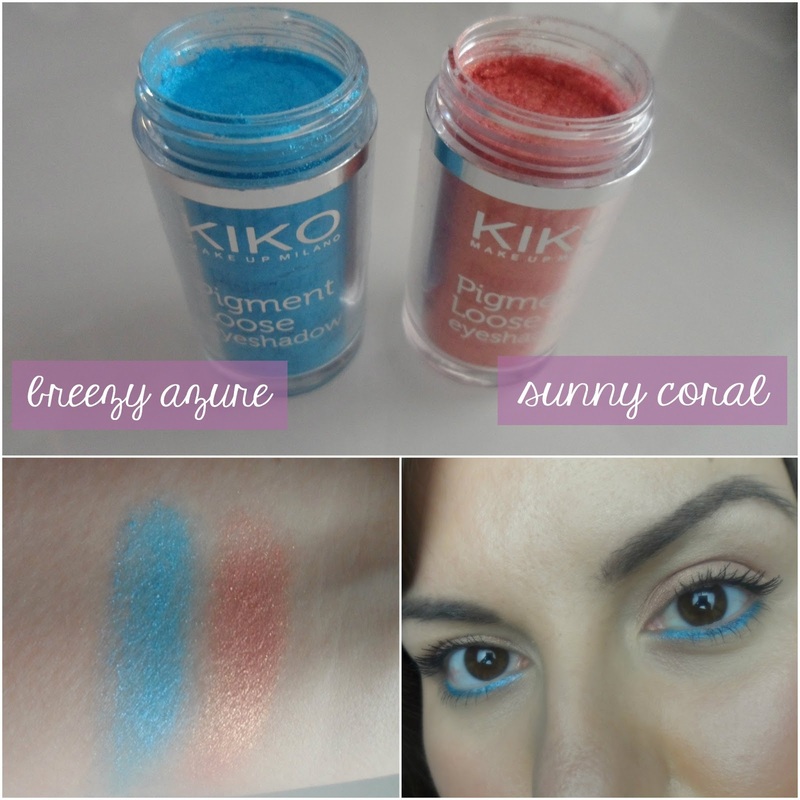 I got to pick out some great new products to try at home, so I'll blog about those soon once I've given them a go! Boots want everyone to give it a go and you can click here or on the image above to find out more about all of the instore play day events coming up this Friday in selected Boots stores. 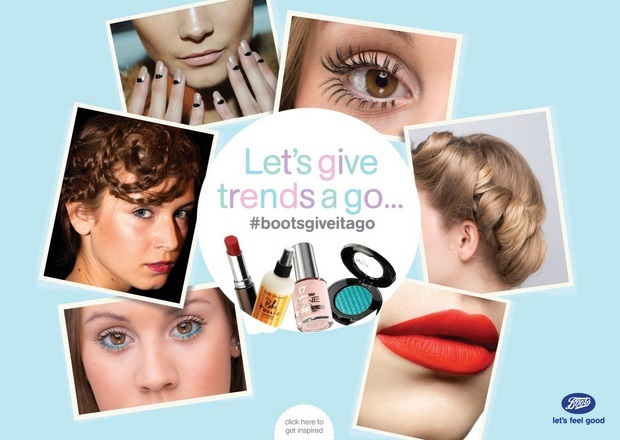 You can also find lots more information and inspiration by checking out the hashtag #bootsgiveitago on intsagram and twitter. I have naturally straight hair, but it's not at all sleek and if left to its own devices it would just have the odd awkward kink, so I've been using straighteners for probably more than ten years, and I've always owned ghds. Before I received the new gold metallic ghds I was happily using my ghd rare which I've had for between three and four years. My old ghds were still working absolutely fine even after all that time, but I noticed quite a difference when I started using the metallic styler, so it seems the ghd technology has certainly moved on and improved since I last bought a pair. 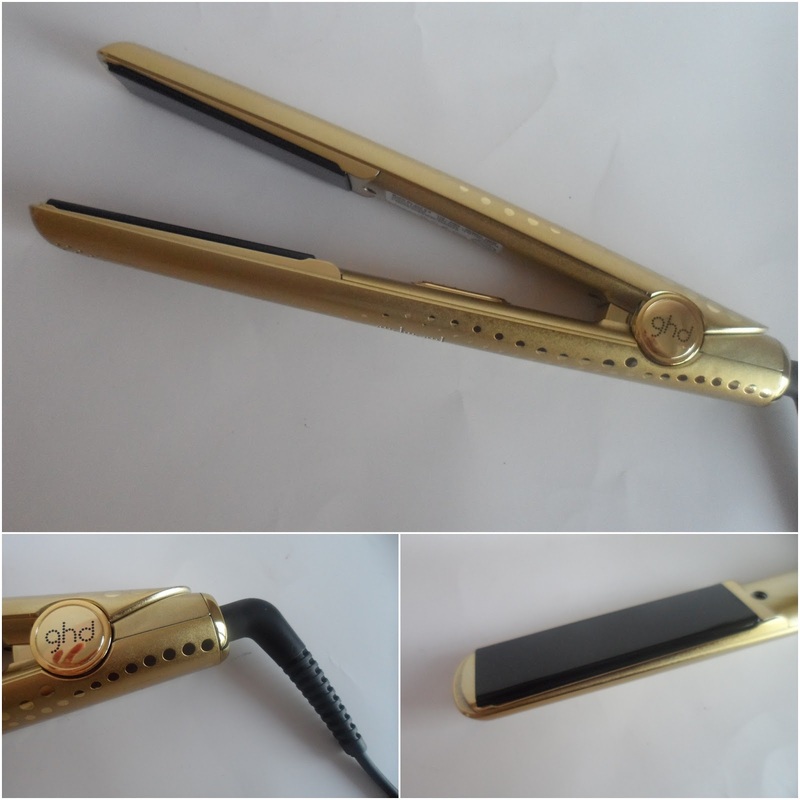 The styler glides through my hair much more easily and quickly and the plate edges are more curved so it's even easier to use the styler to curl as well as straighten. 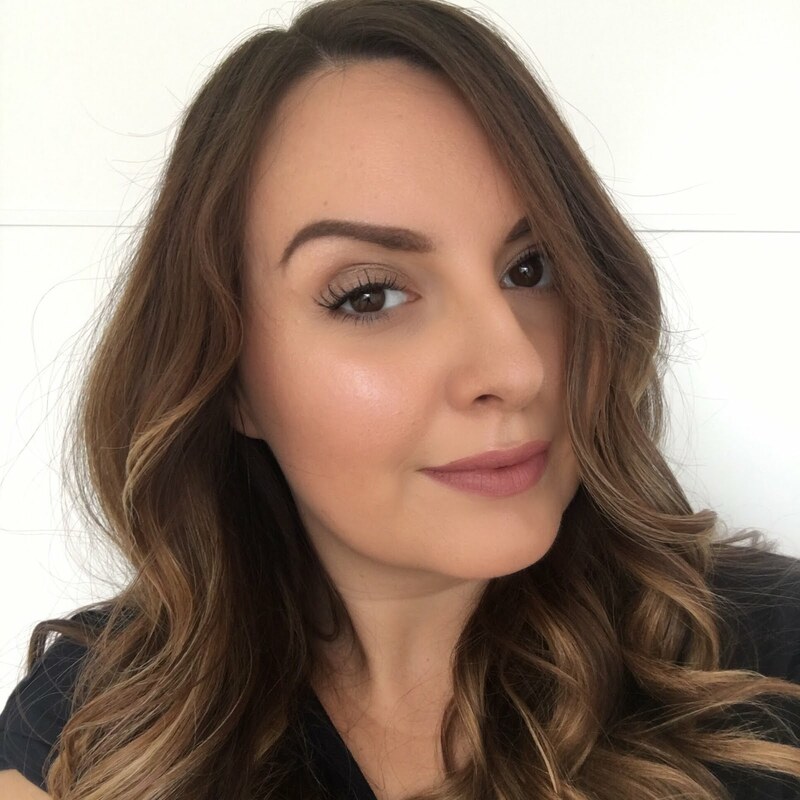 As my fringe has been growing out I've started to wear it as a side sweeping fringe, so I thought I'd show you how I style it using ghds. 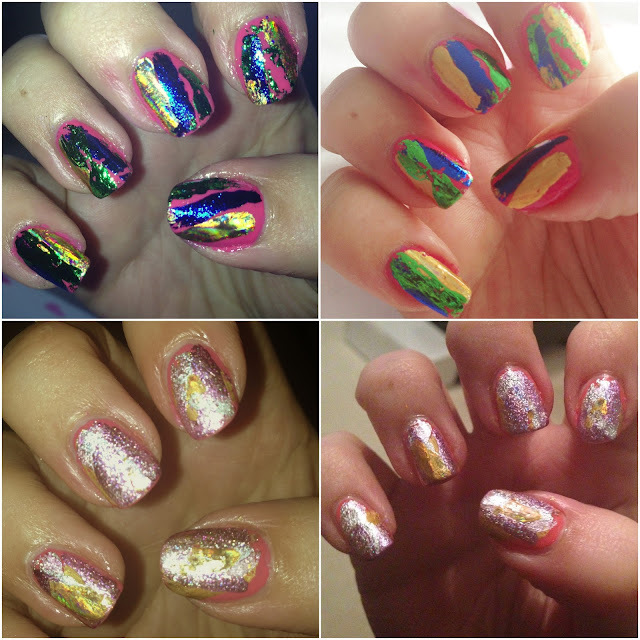 I've done this step-by-step, but I'm aware a lot of the steps are rather obvious! 1 - I start off by towel drying my hair and combing it through. At this stage I'd also use a heat protectant and de-tangling product like Lee Stafford blow dry faster spray. 3 - my best fringe styling tip for a side fringe is to dry the hair on the opposite side. It makes a huge difference in terms of making your hair stay put where you want it. So the next thing I do is comb my fringe over to the opposite side. 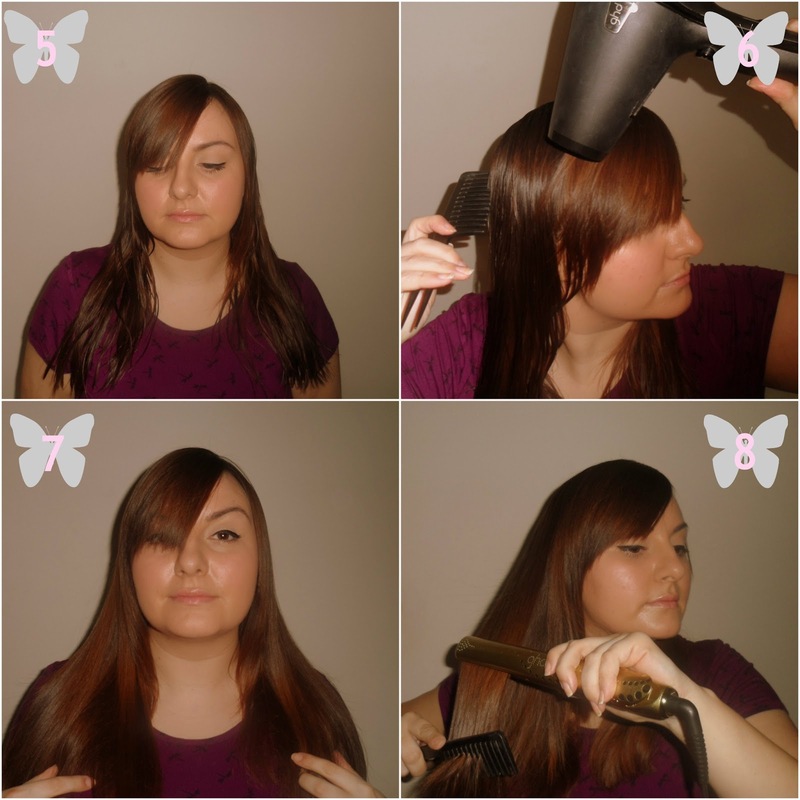 4 - I then blow dry my fringe until it's completely dry whilst pulling it tight to the 'other' side. 5 - Once the fringe is all dry I brush it back to the correct side and comb out the rest of my hair. 6 - Next I blow dry the rest of my hair. 7 - Once all of my hair is dry it's time for straightening. 8 - I straighten the rest of my hair before I start on my fringe, taking 1 - 2 inch sections as a time and straightening from mid-way to the ends. 9 - When I start working on the fringe, first I just straighten it all normally to begin with. 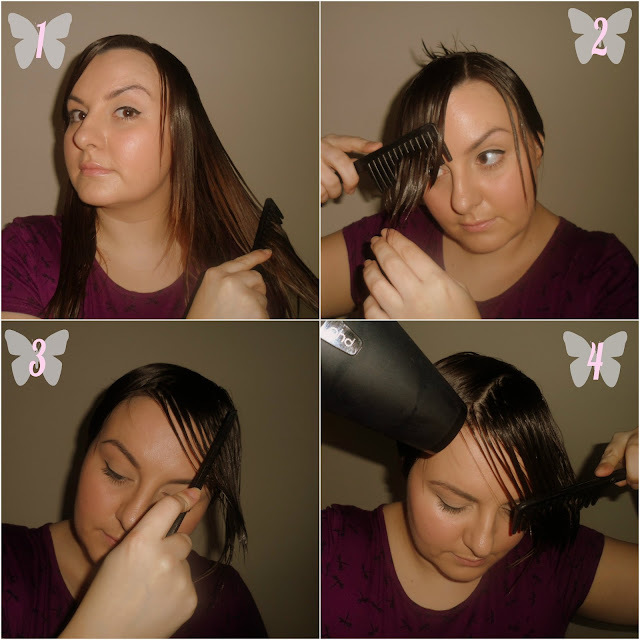 10 - Once it's straight I then work on getting it to curve inwards towards my face by angling the ghds down towards my ear and turning my wrist as I reach the ends of the hair. 11 - The best tip I have for using ghds on your fringe, whether it's a side fringe or a full fringe is to always keep the styler moving. When I first got a fringe and used ghds on it I found I was getting like a line or a dent in the hair where I started straightening from. To avoid this I pull the section of hair upwards and once it meets the styler I make sure to keep my hand moving so that the hair is never still for long enough to pick up any indentation. 12 - Lastly I do a brief swipe over the front of my hair on the opposite side to my fringe to curve the ends of the slightly feathered cut I have. I then add a bit of serum to the ends of my hair if it needs it (but not to my fringe) and have a quick spritz of hairspray to help keep everything in place. And that's how it all looks when I'm done. Easy! The ghd metallic styler comes with a coordinating pouch for storage or travel and a heat-proof mat and the usual extra long swivel cord I've come to expect from ghd which literally never tangles. I wish my hairdryer had the same great feature. 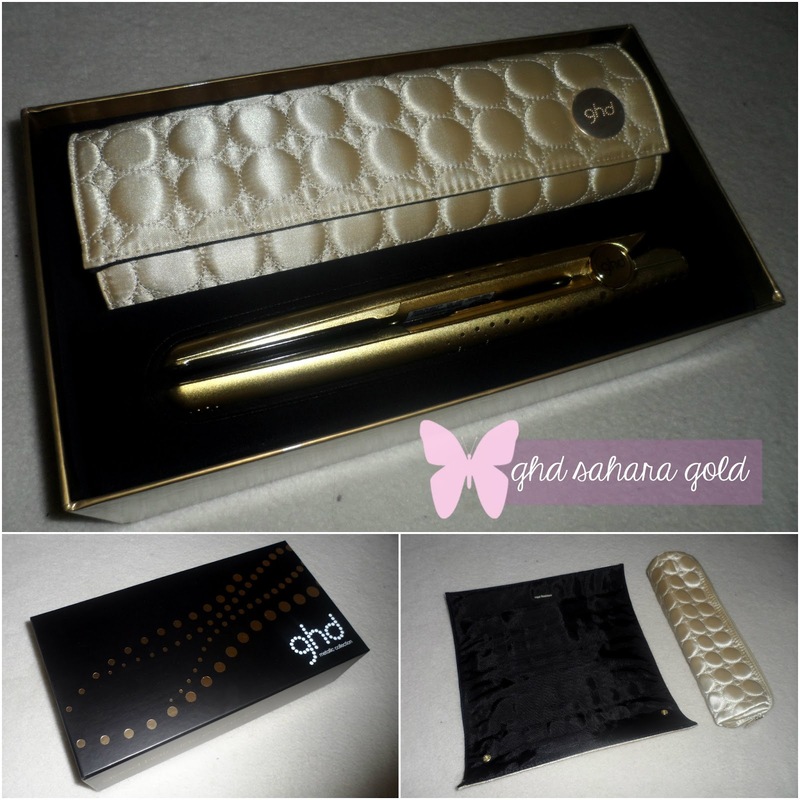 You can buy the *ghd sahara gold styler set direct from ghd and it costs £135. 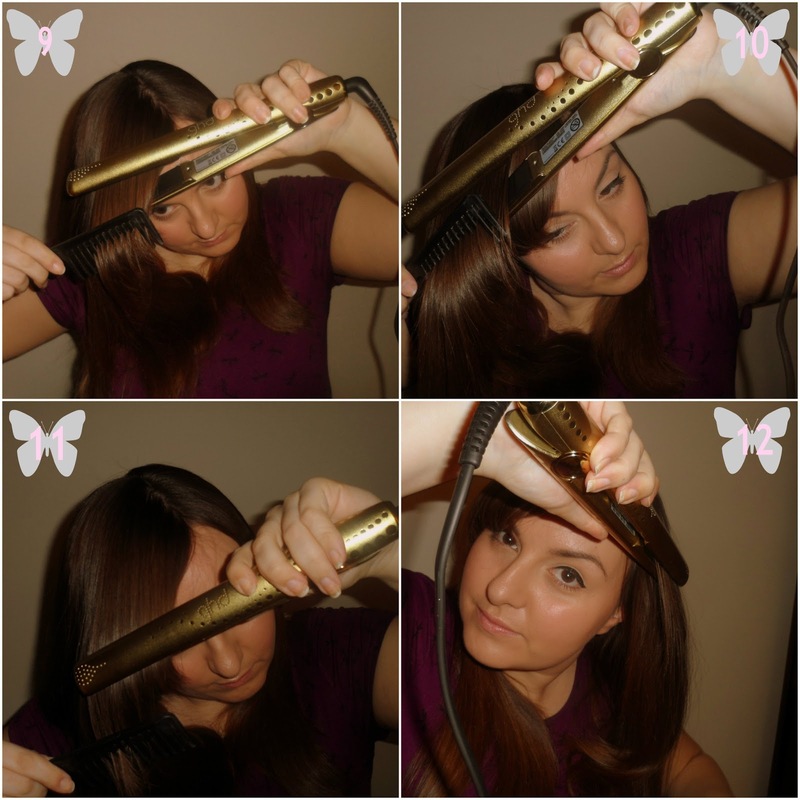 Do you use ghds too?